PAL-V International B.V. is a Dutch company developing a concept car that flies. The company was founded in 2001. Since then, it is trying to develop a car that flies in the sky called the PAL-V flying car. In March 2012, the first flying car that took off was the PAL-V One. The PAL-V liberty is basically having three wheels. It’s a three wheel car and it can lean like a motorcycle. On the ground, the propeller and rotor stops and diverts all the power to the rear wheels. In-flight PAL-V is Gyrocopter. The pusher propeller provides forward thrust while it is foldable at the same time. The PAL-V is based in Netherland which is a pioneer of most of the technological innovations. While designing and testing PAL-V, Dutch engineers have put all their skills and efforts. The final product is definitely astonishing and never seen before. Everyone has dreamed of the flying car but putting it into reality is not easy. The PAL-V complies with highest safety standards. The PAL-V is designed in Italy which is known for its sleek and elegant designs. Every shape is crafted to perfection including colors. The high-end material and technology give this car an ability to fly. The PAL-V flying car uses the state of the art technology. The company partnered with leading aviation manufacturers to meet highest aviation standards. The latest offering from the company is PAL-V liberty. The works started on PAL-V liberty back in 2013. The company is aiming to hand over the keys of first commercial flying car model PAL-V Liberty in 2019. In addition, the Pal-V offers full leather seats. The dual engine along with curve stabilization helps to achieve safety while flying. The PAL-V is a self-stabilizing aircraft. The most important factor while designing any flying car is the compliance. The PAL-V complies with all safety standards like EASA (European Aviation Safety Agency) and FAA (Federal Aviation Agency). The PAL-V also ensures road safety by complying with EU road regulations and US road regulations as well. The company tries to exceed the current level of regulations by providing more safety. The PAL-V is a real flying car and not the fiction. It is also practical by any means. The current drone technologies have limited range. Also, they can’t land on inhabited areas because they require designated space to land. The Pal-V can land without power. Drones won't land without power. Instead, they fall like a dead object. The PAL-V can be easily convertible into an electric flying car. The reason is its extreme lift efficiency and lightweight. Hence converting PAL-V into the fully electric flying car is the easy part. The PAL-V flying car has three wheels. All the airplanes also have three wheels and they are most stable while landing during crosswinds. The high center of gravity provides more stability and safety. However, the three wheels are also not safe on the road. The company solved the problem of safety on road by introducing the new technology called DCS (Dynamic Curve stabilizer) technology. In this technology, car leans into the curve like a motorcycle and compensates the forces by pushing it to outside. High-speed trains generally utilize such technology to increase safety and stability on curves. While designing the PAL-V, the designers made a list of possible human errors through the simulator. This design avoids any possible action leading to human error. So, the design itself removes the potential cause of the error. Such type of designing is called HEPC (Human Error Proactive Methodology). The PAL-V has one of its kind auto-rotating rotors. If both the engines fail, it will rotate by the wind and gravity ultimately creating lift. So during an emergency situation, you can land safely and slowly with all the control. Such kind of rotor makes this car stall-proof. The flying range depends on three factors: weight, aerodynamics, and energy efficiency. The weight is rather most important factors than the other two. In flying, it all comes down to weight. The lightweight PAL-V is just 665 kg (Empty). It has a range of 1200Km driving or 400-500kms flying depending on wind velocity. After 2-3 hours of flying, you can take a tea-break, refuel and drive off or fly. The company has a proven track record of manufacturing the flying car. 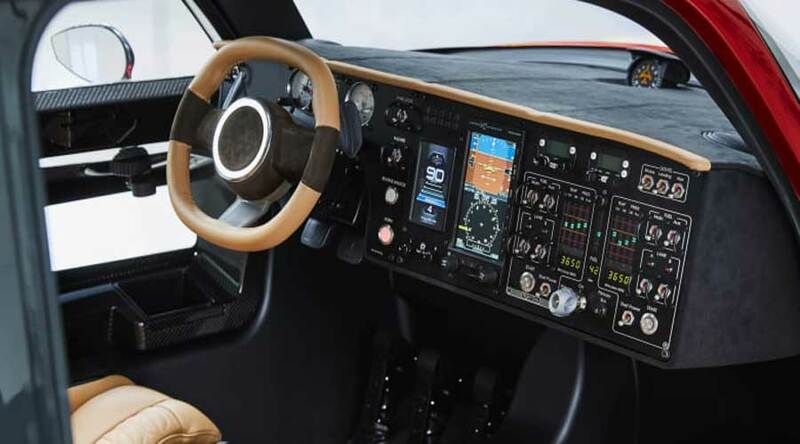 The company has invested almost 17 years in developing the flying car. 17 years is a lot of time and it requires patience and consistency. The company is funded by entrepreneurs and govt agencies like Dutch ministry of traffic, the Dutch ministry of defense and Dutch ministry of economic affairs. The PAL-V is a Gyrocopter that has the seating capacity of two. The maximum baggage allowance is 20kg while the maximum take-off weight is 910kg. The fuel tank capacity is 100 liters. In drive mode, the power of the engine is 100Hp and maximum speed is 160 km/h. The range in drive mode is 1315km. 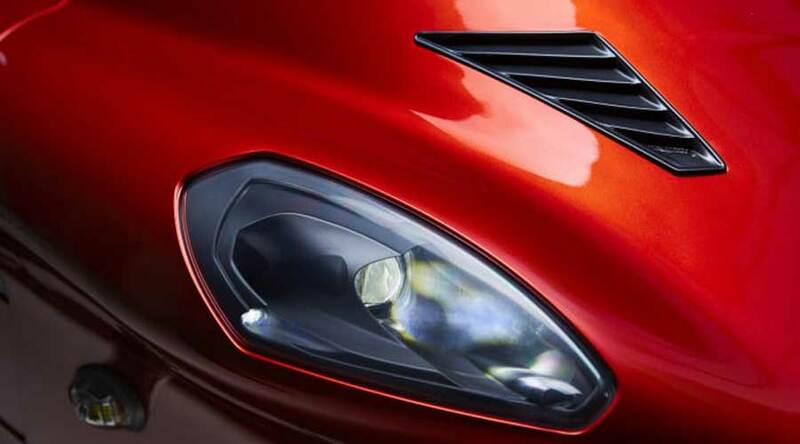 In flight mode, the engine power doubles to 200Hp because of the dual engine. The max speed is 180 km/h while the economic cruise speed is 140 km/h. The maximum range is 500km with the max endurance of 4.3 Hours. Besides, the max altitude you can go up is 3500m. In conclusion, it’s a thrilling vehicle that can drive, fly and glide. We are very sure that you can be airborne just within minutes of your wish from almost anywhere. Forget the traffic jams and just enjoy flying or gliding instantly. Home » Articles » PAL-V flying car: a car that gives you wings to fly..!